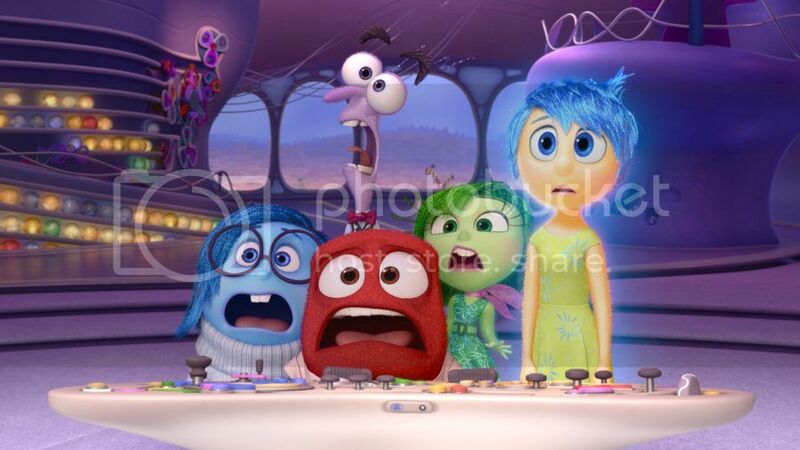 This week we were very excited to attend advance screening of new Disney Pixar movie Inside Out. This animation movie we were looking forward to see since first trailers showed up. This is one of the kids and family friendly movie you feel in love right away. We were lucky to meet Phyllis Smith (voice of Sadness) before the screening. The story mostly takes place in the head of 11-old girl where five emotions Joy, Sadness, Anger, Fear and Disgust work hard to navigate through day to day challenges. The life of Riley is mostly led by joy and lovely memories spent with her mom and dad, hockey and good friends. One day Riley’s family has to move to San Francisco because of dad’s new job. New environment, new city and new school bring lots of mixed emotions and it is not surprising that they should adjust to a new life too. Accidentally, Joy and Sadness are lost in the memory aisles and need to get back to the headquarters, while Anger, Disgust and Fear left in charge. While everyone wants to keep Sadness in a circle and never let her go, in this journey we all realize that all emotions are important and valuable. When Joy and Sadness are trying to reach the headquarters, they meet characters like Riley’s childhood imaginary friend Bing Bong, some kind of elephant and cat creature, visit Imagination Land where all Riley’s imaginary creations got shape, color and sound. They also learn that with time memories fade and disappear. The movie brilliantly reflects what is going on in everyone's head, giving all our emotions face, shape and unique touch. We were excited to watch how Train of Thought goes back and forward, and all the island our memories and emotions are built, that Teddy asked if we all have these huge islands like Family island, Hockey Island, Music Island, Art Island and other ones in one head. On the way back Joy and Sadness have to be creative to overcome some obstacles and see that Train of Thought stops when Riley falls asleep and Dream Productions is busy shooting new scenes for night dreams. All emotions are important and their teamwork makes us feel, love, enjoy, suffer and be who we are. Overall, lovely movie to enjoy for the whole family. Plus it comes in 3D, the way to see all spectacular scenes, cry, laugh and have a good time for sure. Inside Out hits theatres today, June 19. Also enjoy a short film before Inside Out: Lava, a musical love story. The song is so catchy and easy to remember that Teddy sings it since Monday.